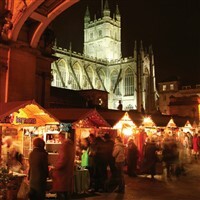 We leave for Bath and the whole day is free for you to explore the Christmas Market. Traditional wooden chalet stalls showcase original hand-crafted gifts, decorations, cards, toys and Christmas food and drink. There are lots of opportunities for lunch as you explore the historic city before we leave late afternoon for the hotel. After breakfast we drive into Oxfordshire for Blenheim Palace, birthplace of Sir Winston Churchill and a World Heritage Site. It is beautifully decorated for the festive season into a magical wonderland, including, organists, brass bands and Carol singers. Later we head for home. magnificent Blenheim Palace, beautifully dressed up for the festive season. DOUBLETREE BY HILTON HOTEL http://www.hilton.co.uk/ Our base for this weekend is the Doubletree by Hilton Hotel, Swindon. 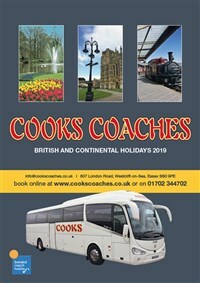 Located on the outskirts of the town, ideal for our visit to Bath. Features of the hotel are Minskys Restaurant and Bar & Café Cino. All bedrooms are en suite and have satellite television, radio, hairdryer & tea and coffee making facilities. There are lifts to all floors.